Haal-E-dil mera pucho na sanam song lyrics were penned by Sameer Anjaan and sung by Sreerama Chandra Singh for the male version. Himesh Reshammiya was composed for this dard bhari song. 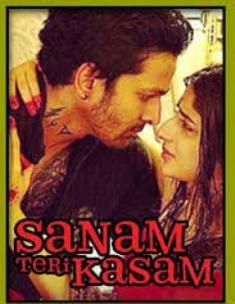 Sanam teri kasam stars are Harshawardhan Rane & mawra Hocane. This movie was directed by Radhika Rao and Vinay Sapru , produced by Deepak Mukut & it was released under the production banner of Eros.